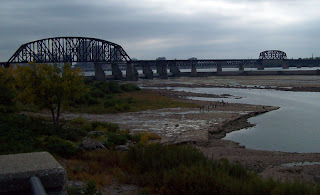 The Falls of the Ohio State Park (Clarksville, Indiana, USA) hosted a geology education day with lots of activities the general public around the Louisville, Kentucky area could participate in. My contribution to the event was helping with identification of minerals and fossils being found in the collecting piles. I have been participating in events like this at the state park for the last 3 years. This year was nice as a mix of adults and students visited the piles next to the main parking lot. Some visitors were from geology clubs in Illinois and Fort Wayne, Indiana. 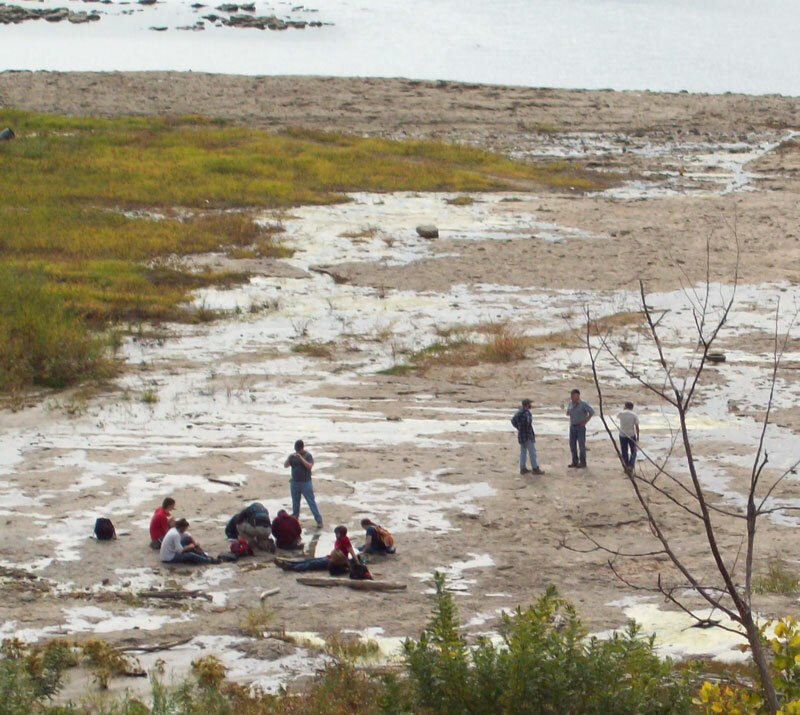 It was a nice weather and the visitors seemed enthused about the collecting and learning about minerals and fossils. Inside the Interpretive Center a number of tables were set up showing micro-minerals and fossils, 12 mineral/fossil specimens for a $1, books by local geology professors, and fossil identifications. Also a number of talks were given by local experts and teachers on geological subjects. I stayed on my shift a lot longer than planned since a lot of people had questions. Most questions were about minerals but I had some fossil questions dealing with Devonian corals and Silurian brachiopods. Fossil collecting was sparse as the piles were not yielding very many fossils. 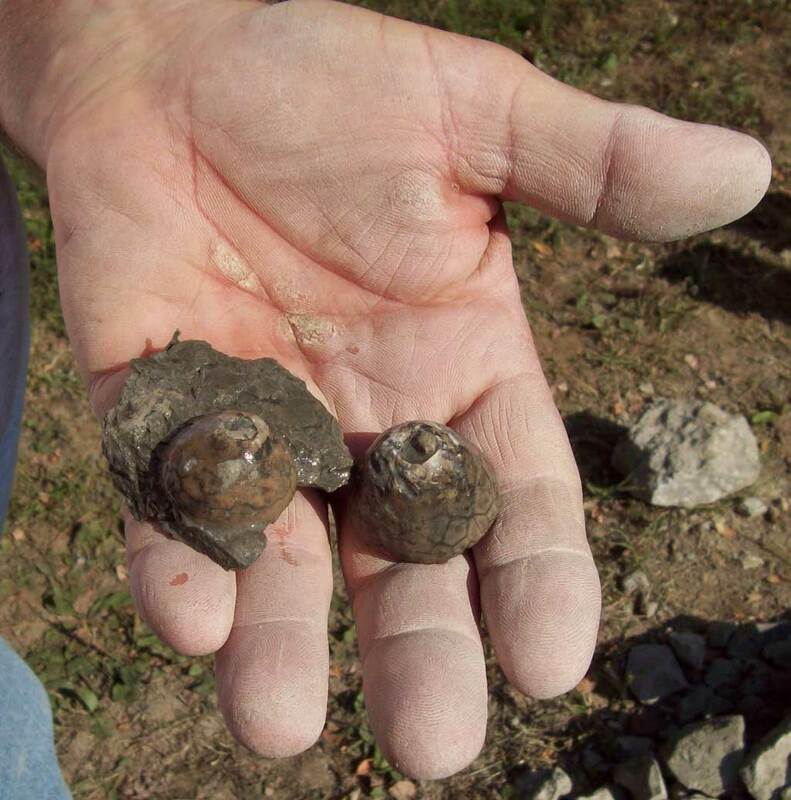 See picture of the only fossils I saw collected by a fossil enthusiast from Marion, Indiana. He found two Eucalyptocrinus crinoid cups plus some nice brachiopods. All the fossils had to be extracted from a large matrix piece. The mineral pile was getting the most activity with tons of material from southern Illinois mine tailings. Yellow and purple fluorite was the most prevalent though clear was found as well. 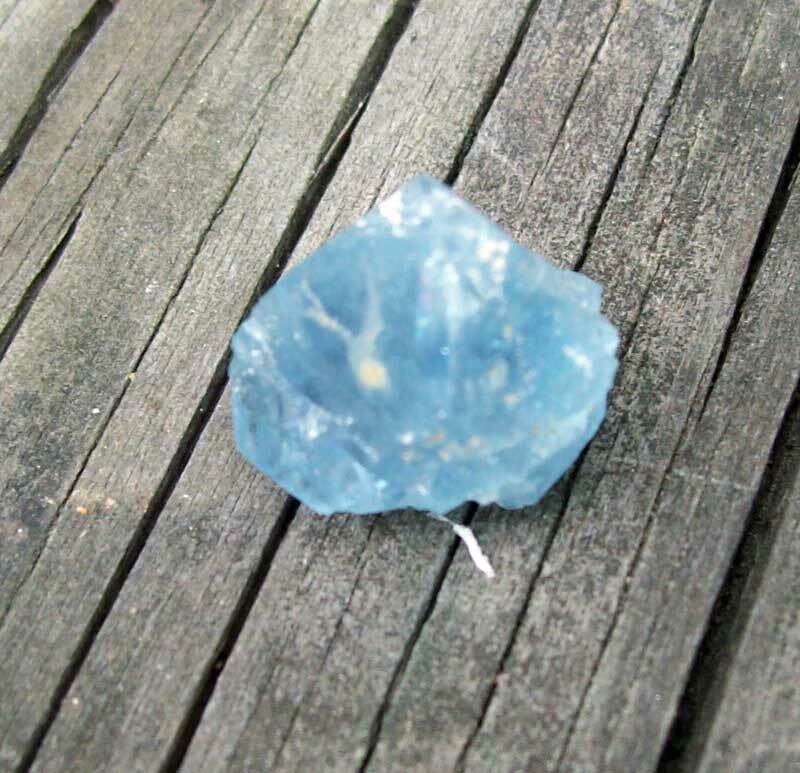 My challenge to the visitors was to find the blue and green fluorite specimens and at least 6 people found blue transparent/semi-transparent minerals. See picture below on a blue one. 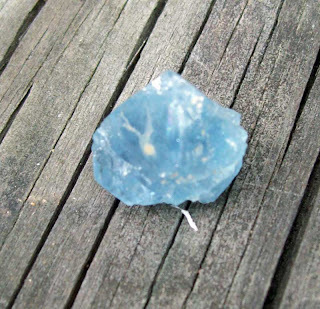 A couple of kids found small green fluorite crystals. So that was fun to see! Other minerals being found were calcite, sphalerite, barite, and pyrite. 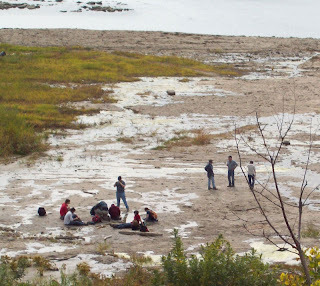 A number of college groups seemed to be visiting, I did not get any school names but here is a picture of what appears to be a school group meeting on the fossil bed.